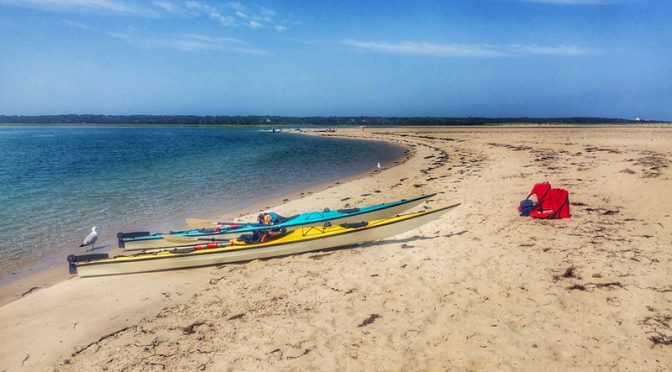 Fall Kayakers At Nauset Marsh On Cape Cod. 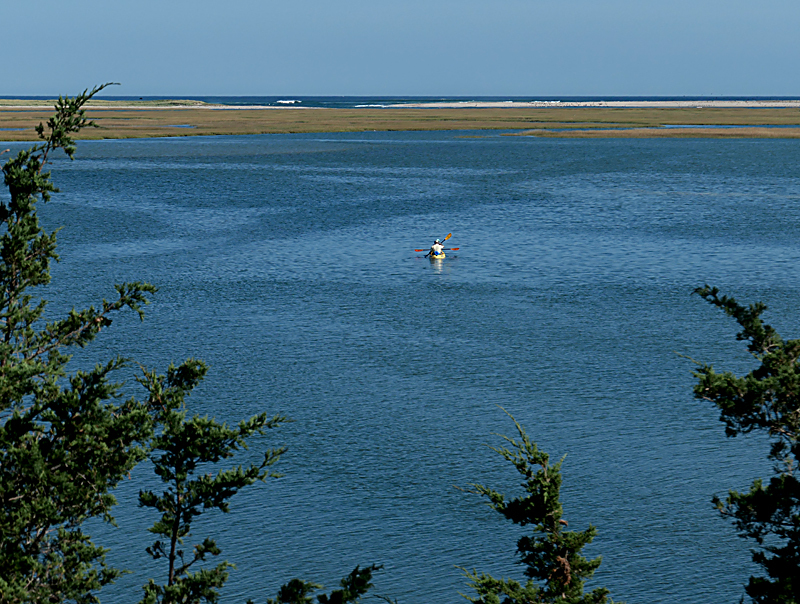 It was a perfect fall day to go kayaking at Nauset Marsh, part of the National Seashore. 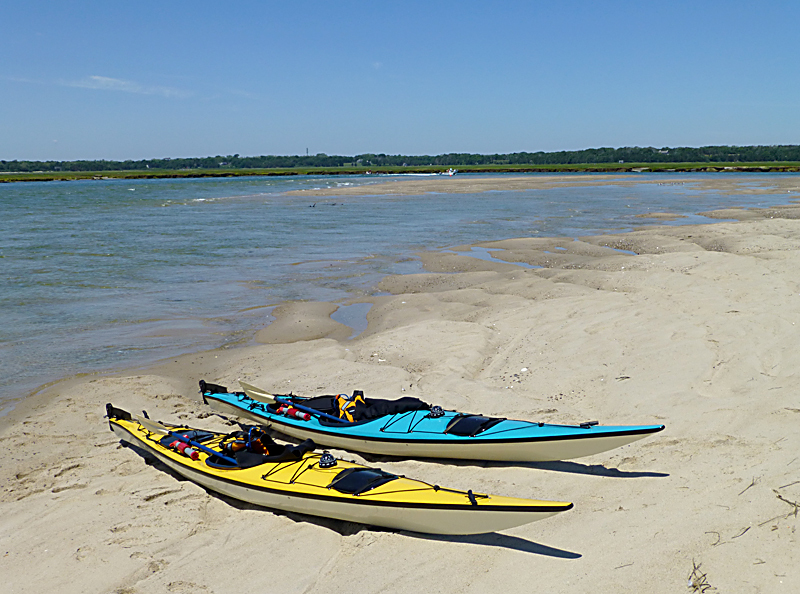 I loved the coloring with the sun on the tandem kayak and the deep blue water of the saltmarsh. You can see Nauset Spit in the background. It was a glorious day… sunny with little wind and a perfect day to take our kayaks out on the water. 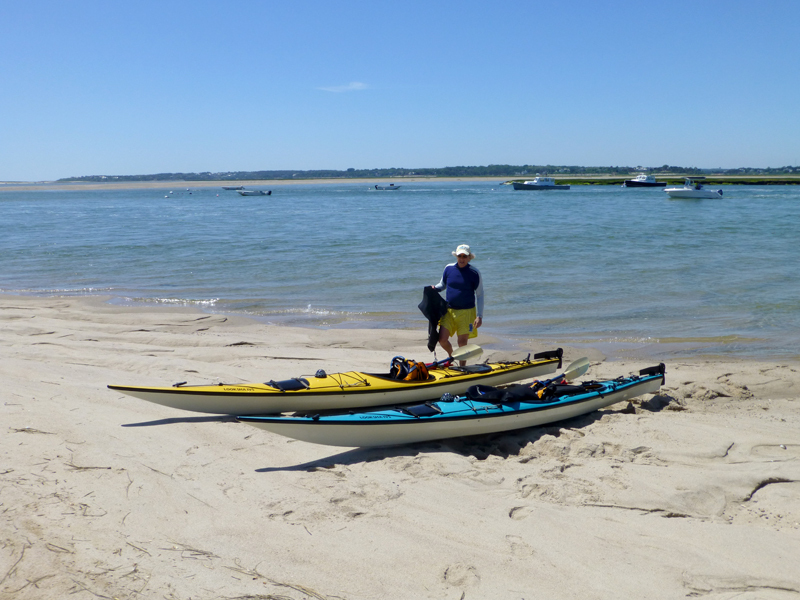 We launched at Good Hummock in Orleans and paddled Town Cove to Nauset Marsh and then out along the outer beach to Nauset Spit. It couldn’t get any prettier! 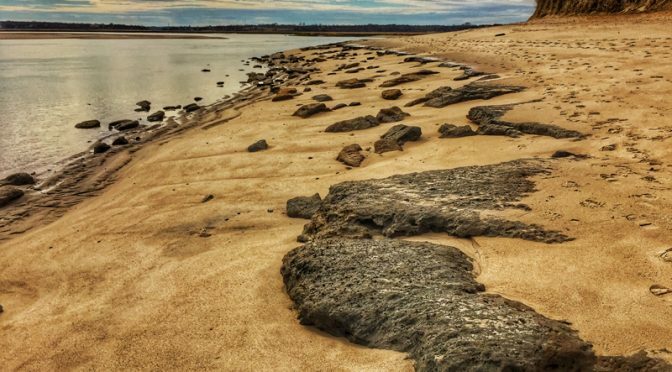 If you walk down Coast Guard Beach, you will come to Nauset Spit where the ocean empties into the salt marsh at high tide and the waters recede at low tide. It is where boats can navigate in and out of Orleans Cove by following the buoys. There is a huge swing from high tide to low tide. 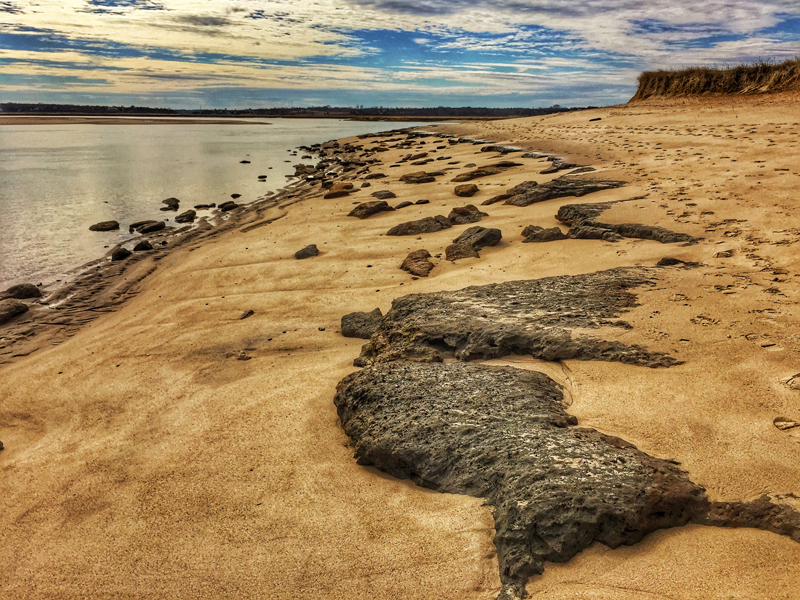 I couldn’t decide if I like the horizontal or vertical photograph of Nauset Spit at low tide better. What do you think? I took these photographs a couple of weeks ago before the Nor’easter. I wonder what it will look like when we can get back there again… It has been so cold and windy that we haven’t walked there yet. There were so many birds flying over the water and then diving in off of Nauset Spit the other day. The fish must have been very plentiful right there. It looks like there were many different species of birds enjoying their feast! 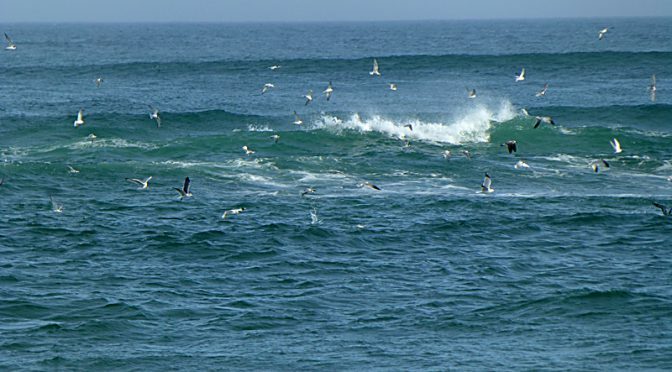 This photograph only captures a small percentage of the birds diving and feeding there. Have you ever seen anything like this? It was a glorious day to walk out to Nauset Spit on Cape Cod from Coast Guard Station. 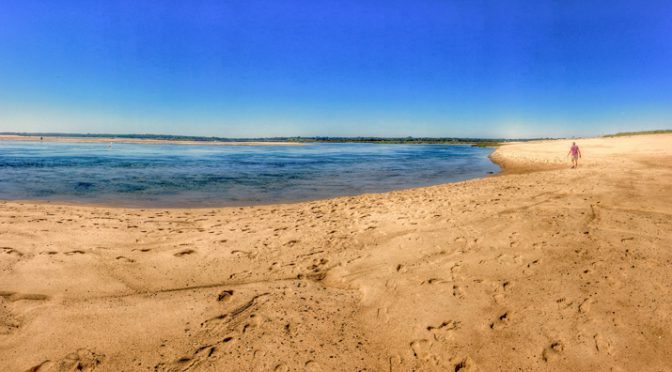 Nauset Spit is where Nauset Beach splits and lets the water into Nauset Marsh. 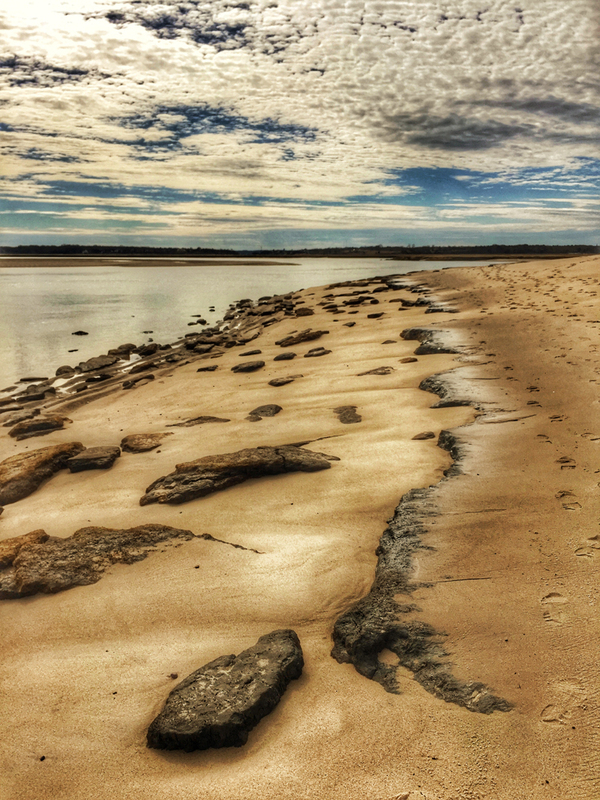 It is ever changing with the changing of the beach sand. The last time we had been there was about 10 years ago before we moved to Colorado. 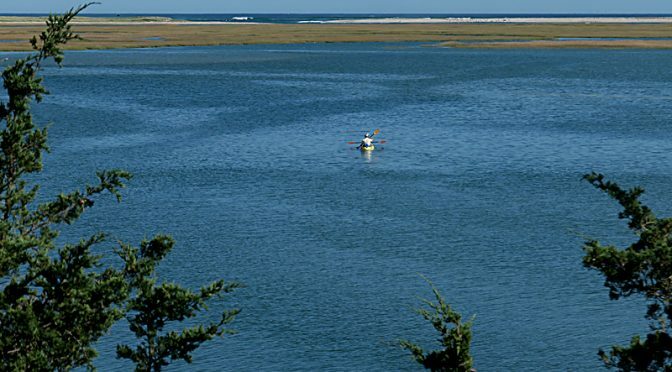 We had paddled our kayaks out through Nauset Marsh and had a picnic in that same spot. It was so much fun. 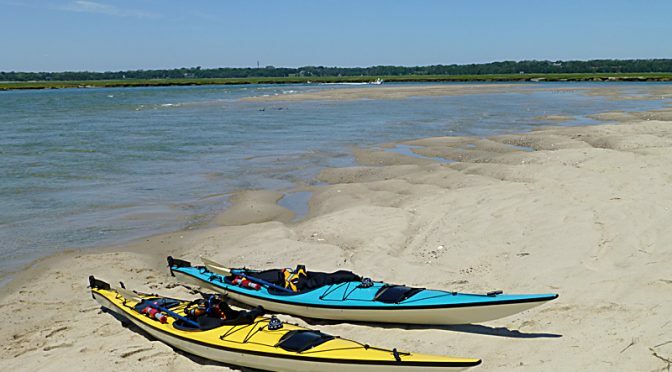 We are definitely looking forward to getting our kayaks out next summer and paddling out to Nauset Spit for a picnic. Can’t wait!